A divided Supreme Court decided in favor of a child’s adoptive parents over the claim of her birth father this week. At issue was the Indian Child Welfare Act, a federal law that gives tribes and relatives a say in decisions affecting children with Native American heritage. Passed in 1978 because of the high number of Indian children being removed from their homes by public and private agencies, the act gives the tribe and relatives a say in decisions affecting the child. We first reported about this story here. 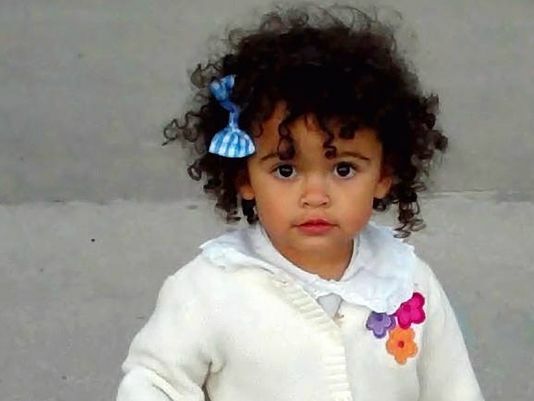 Matt and Melanie Capobianco adopted the girl, but Dusten Brown, the father – a member of the Cherokee Nation whom she had never met – argued that the child’s mother gave her up without his consent. The state’s highest court sided with him, and she was returned to her biological father. The father challenged the Capobiancos’ adoption, he said federal law favored the girl living with him and growing up learning tribal traditions Appealing to the state Supreme Court, the Capobiancos said they had bonded with Veronica and argued that removing her was detrimental to her development. But justices sided with Brown last summer, saying in an emotional opinion that, while the Capobiancos were “ideal parents,” federal law requires that custodial preference be given to the child’s Native American parent. The Supreme Court overturned the court’s previous decisions. Associate Justice Samuel Alito ruled for the majority that the law’s ban on breaking up Native American families cannot apply if the family didn’t exist in the first place. He said the father had not supported the mother during pregnancy, agreed to give up parental rights in a text message, and changed his mind much later. “In that situation, no Indian family is broken up,” Alito said. This brings to issue the problems with many adoptions happening around the country and the world. Many adoptive parents don’t understand their rights when navigating through adoption. It also highlights the need for protections for all parties, so that the process is more secure for the child. This should include the requirement that birth parents, when known, have legal representation. It is important for individuals and couples who are considering adopting, as well as birth parents, to work with reputable agencies and professionals throughout the adoption process.